I had an amazing experience last week. I was packing my vehicle, for the return leg of my solo road trip from Canada to Arizona, where I had been visiting my Aunt. North. I was planning to head west, to take the most efficient route home. I had such a long journey ahead of me. Additional days for sightseeing would only add more miles, expense and personal energy to my trip. But the Grand Canyon. Could I pass up an opportunity to see something “grand” that has inspired so many generations of people, stories, film and art? Knowing life holds no guarantees, knowing I may not ever come this way again…I decided to take an alternate route home, and made an extra effort to see for myself, what my Aunt (and many others) encouraged me to see. The Grand Canyon exceeded my expectations. I knew it would be beautiful, but I didn’t know the impact it would have on me. When I first stood at the railing and laid eyes on its magnificence, I gasped and cried openly. It was so incredibly breathtaking! More than I ever could have imagined. Tears flowed down my cheeks. It was awe-inspiring. And I felt so emotional. I wept for the opportunity to see this natural beauty in my lifetime, and I wept for the bittersweet circumstance that my husband did not live long enough to see it with me. I was seeing this beauty alone. Yet, I was not alone. And not because there were other people around me, taking photos and hiking the trails and enjoying winter picnics. It was because I felt a sense of connection to something greater than myself. Something vast, timeless and transcendent, that shifted my perception of the world. Something that was here long before I was ever born, and will remain here, long after I’m gone. When you experience a great loss, you know the deep, inconsolable pain of losing that connection. And how it is a long, personal journey to recreate a new life, after that loss. An experience of awe may be something to momentarily lift you from your grief, and remind you of the life force that is still inside you. That you are still here, and there is still beauty in the world to experience. You can find nature’s beauty through travel, but you can also experience a sense of awe from your own backyard, looking up to the night skies, seeing twinkling stars and constellations that have been there for thousands of years. – A soft pink sunrise, or a blazing sunset. – The glowing full moon rising over the landscape. – A rainbow suddenly emerging from the clouds. – Lightning within a storm. – Ribbons of dancing northern lights. Many people who experienced the awe of last summer’s total solar eclipse, felt profoundly moved witnessing such a rare and special celestial event. – An inspired, passionate speech. – An iconic work of art. Even if you can’t travel to Florence to look up at Michelangelo’s sculpture of David, you can still go stand at the trunk of a large, wise old tree, and gaze skyward. An ancient tree is a masterpiece of nature. You can also simply be present with your Self. Through the stillness of meditation, you might have a very moving, spiritual experience. 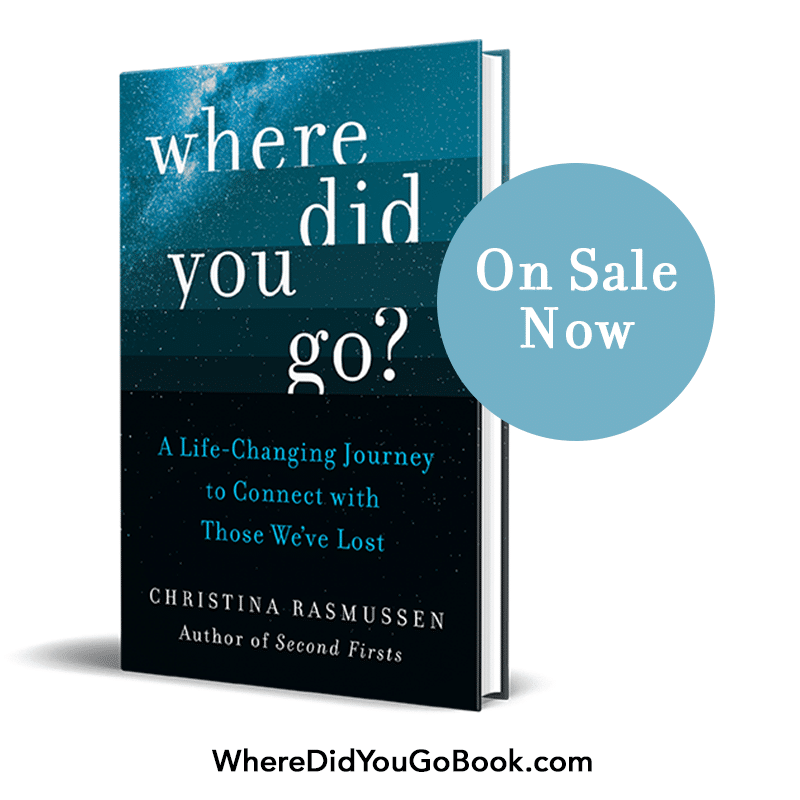 If you are feeling lost or disconnected in this unfamiliar place of life after loss, I encourage you to step outside in the world — your world — and actively seek out something awe-inspiring to awaken all your human senses. You may feel uplifted, a sense of reconnection, or greater purpose. You may even come alive. Karin Hedetniemi was born an introvert, sensitive soul, dreamer, and idealist. She lived one life before as a mother, charity business director, and wife, married to Jim, the love of her life. Jim passed away in July 2016 from pancreatic cancer. In her second life, after loss, Karin is reinventing herself as an inspiring writer, traveler, observer, and admirer of the human spirit. Her first short fiction story was recently shortlisted by Federation of BC Writers. 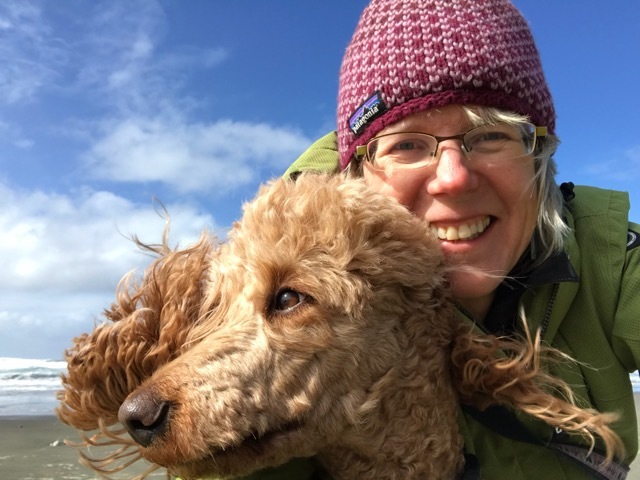 Karin lives in Victoria, British Columbia with her pup, garden, heritage house, and the sea, which has been here long before she was ever born, and will remain here long after she is gone. You can follow Karin on her WordPress blog A Golden Hour, on Instagram @karinhedet, and on Twitter @karinhedet. Yay Karin!! Great to see you here and read this about your fantastic adventure! Thanks for the cheer and awesome encouragement! May there be more fantastic adventures around the corner for all of us. Absolutely amazing , gentle and inspiring piece of heartfelt work. Thank you for your wonderful spirit Karin and for sharing it…so very uplifting, yet brought tears to my eyes.. Thank you, sweet Ute, for seeing and feeling the love I brought to this piece. Your kind words mean so much to me. I am the Aunt that Karen visited, and I am so happy for her and proud of her for the accomplishments she has undertaken recently. The trip from Victoria to Arizona and back again are more than I could ever imagine doing, but she managed and apparently is a better person as a result of that. I am so glad that she made the trip to the Grand Canyon and that it gave her the inspiration to write this beautiful piece! Good for you, Karin! You have helped me stretch my wings, Aunt Pat! I love you so much. Music can transport us and stir the soul, right where we are! May you have many divine moments of connection this year, Sandy. Beautiful and inspirational. Thank you so much. So much saying yes to all you are and more to come! It made my day! Some of the best things I’ve ever experienced, happened when I gave myself permission and said YES! Thank you for brightening my day, Marni! Here’s to many more doors opening, and all we are becoming, by saying yes! Beautiful, uplifting article. Nature has brought me a sense of peace and comfort over the past 2 1/2 years since my only son passed away at the age of 16. 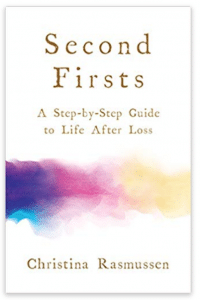 My son’s death was tragic and unexpected, so there will always be so many unanswered questions for the rest of my life, which bring much pain on top of the loss. My grief is paralyzing at times, but in those moments I escape to nature, and it always seems to help. Thank you for this article, I connected with it, and felt understood. It brought tears to my eyes.